In this post, I have described three remedies for getting relief from women related diseases, like problems related to the Menstrual Cycle, Swet Pradar or White Discharge, irregular or delayed Monthly Cycle or excessive blood discharge and other Masik Pali Ke Vikar. The first two Upay are traditional Indian astrological remedies, while the third one is a simple and easy to practice paranormal remedy dedicated to Lord Shiva. The practitioner can practice any one or all of the 3 Upay given below, however, for religious minded people, the third Upay is most suitable. It can be practiced as given in the post, without the need of any kind of Mantra or Yantra. 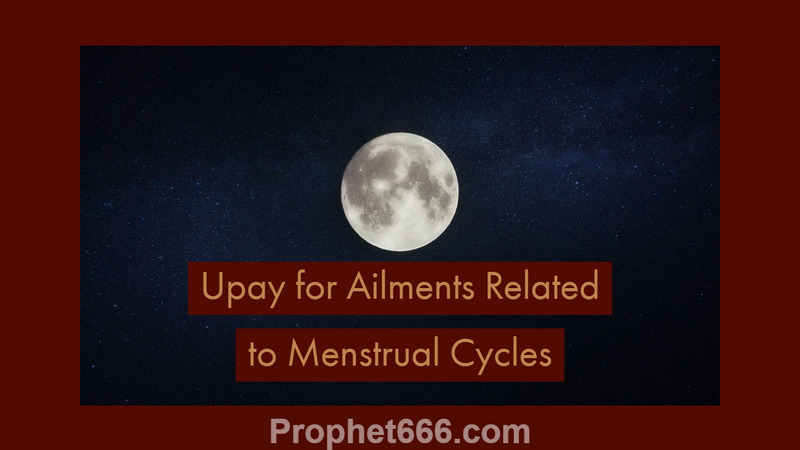 1] Most astrologers believe that Menstrual Cycle ailments are related to Chandra or the Moon and hence, chanting any Mantra of the Moon or keeping a Chandra Yantra on the body is believed to be helpful in getting relief from women specific diseases. The Root Mantra of the Moon can be seen here –Beej Mantra of the Navgraha , you can also chant any other Mantra dedicated to the Moon, if you like. You can also purchase an energized Chandra Yantra for about 200 to 300 Rupees from the Market and keep it on your body. 2] Wearing the Moonstone or Chandrakanta Mani in Hindi on the Kanishtha Ungli or the little finger of the left hand is considered to be beneficial in getting relief from women specific ailments. 3] The Third Remedy is a very simple and easy to practice paranormal remedy, which is also a stand-alone remedy and can be practiced independently or without the need of practicing the astrology remedies given above. This remedy can be practiced on a Monday, the practitioner should visit a Shivalaya and take 2 Camphor tablets or Kapur Ki Goli in Hindi, to the Shivalaya along with him. There he should keep both the Camphor tablets before the idol of Lord Shiva and light one of them and bring the other one back to his home. Then, that Camphor tablets should be lit in the bedroom of the woman who is affected by any of these ailments.